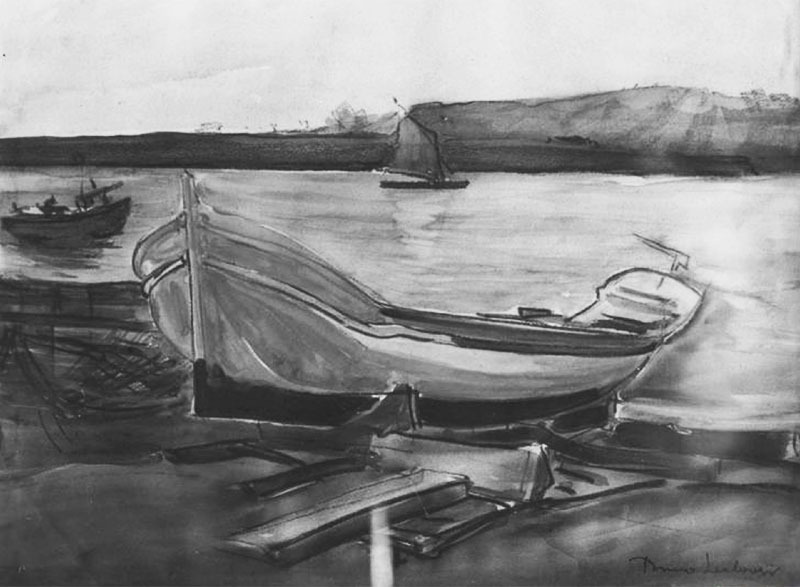 For 150 years, Polish emigration has brought outstanding artists to Brazil. Today, a new generation of Brazilians are discovering these Polish contributions to culture and finding artistic inspiration in their work. Brazilian theatre was a particularly fertile area for Poles who arrived in the country seeking refuge during World War II. Today the national theatre owes a lot to these Polish artists (Ziembiński, Turkow, Eichlerówna, Samborski). In the same period, many visual artists (Lechowski, Żak, Ostrower, Krajcberg) also arrived and left their mark on local art history. Writers (Leminski, Rawet, Syrkis, Wierzchowski), choreographers (Rudzka, Mrozowicz), designers (Zalszupin), architects (Lerner), photographers (Urban), and directors of advertising films (Bukowiński) of Polish descent were all influenced by and contributed to the culture of their new home. Polish literature in Portuguese was made available to Brazilians thanks to the work of translators like Henryk Siewierski, Marcelo Paiva de Souza, Tomasz Barciński, and Regina Przybycien. Today, future translators and Polish language teachers are trained at the Federal University of Paraná in Curitiba, which houses the only Polish studies department in Latin America. In the early 1940s, a small group of Poles played an important role in the formation of contemporary Brazilian theatre. In Brazil, this group is commonly called ‘turma da Polônia’. Zbigniew Ziembiński (1908-1978) was the most important figure in this group. His theatre and film career began in interwar Poland but was interrupted by the outbreak of World War II. After a half year journey from France, Ziembiński arrived in Rio de Janeiro – thirty-three years old, with no money, and unable to speak Portuguese. For him, Brazil was not a conscious choice. During the war he was invited to work as a director for a Polish amateur theatre group in New York, but attaining a visa to the United States was very difficult. Ziembiński embarked on the long journey to Rio hoping that it would make it easier for him to get to New York from there. It turned out that in Brazil he quickly established a connection with the theatre community and soon began to prepare his first production. In 1943, he directed a performance of Nelson Rodrigues’s Wedding Dress that is considered a turning point for Brazilian theatre and earned Ziembiński the title of ‘father of the modern Brazilian theatre’. To this day, Ziembiński is popularly called ‘Zimba’ by Brazilians and remains one of their most respected artists of Polish origins. 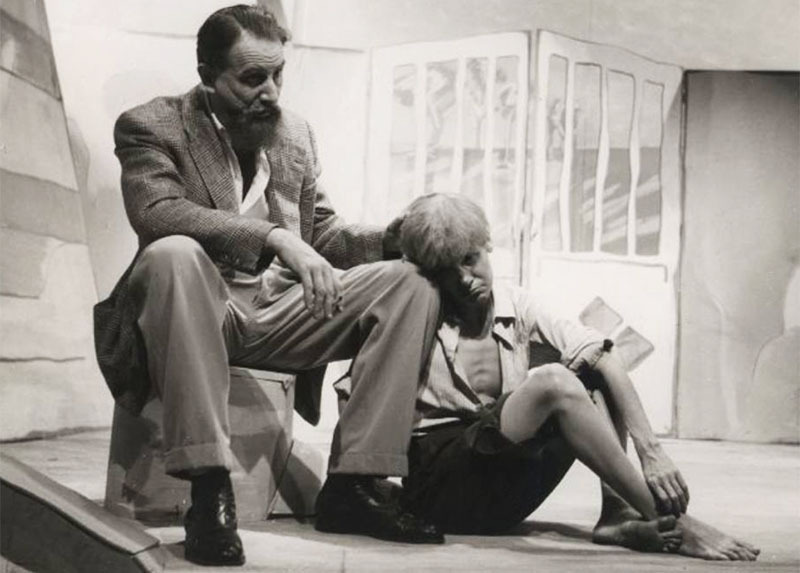 Ziembiński educated many in the next generation of actors and directors and became an almost legendary figure – a ‘sacred beast’ of Brazilian theatre. He was famously demanding and brought with him a wealth of experience and knowledge of the theatre. In the artistic circles of Rio de Janeiro, other artists of Polish origin began to appear. They included Irena Eichlerówna, Zygmunt and Rosa Turkow, and Bogusław Samborski. The great attraction of the performance was without a doubt the presence of the excellent Polish actress, completely unknown here, who unexpectedly became the biggest revelation. I had the pleasure to meet the greatest actress I’d ever seen. This further confirmed my belief in the strong influence of the Poles on the theatre. Learning Portuguese did not come easily to Stypiński. It was like a psychological war, she felt humiliated by the situation. She was the best actress in Polish theatres, but she knew that because of the language she did not have a chance of keeping that position here. And then suddenly appeared this role in which she could work at her highest level under the direction of Ziembiński. Who does not remember the beautiful Polish woman, with an absorbing voice and grand, sleepy gestures, who on a marvelous, dreamlike night took to the stage of the old Teatro Fênix to revive the character of Miss Clessa […]. That night a lot of people in the audience whispered the cruel sentence: ‘War, shattering some communities can elevate others’. Despite the warm reception, Irena Eichlerówa did not stay in Brazil. When offered the chance to return to Poland after the war, she eagerly did so and was met by many directors interested in working with her. The Warsaw born actor Zygmunt Turkow (1896-1970) was also among the group of Poles who became famous in the Brazilian theatre. 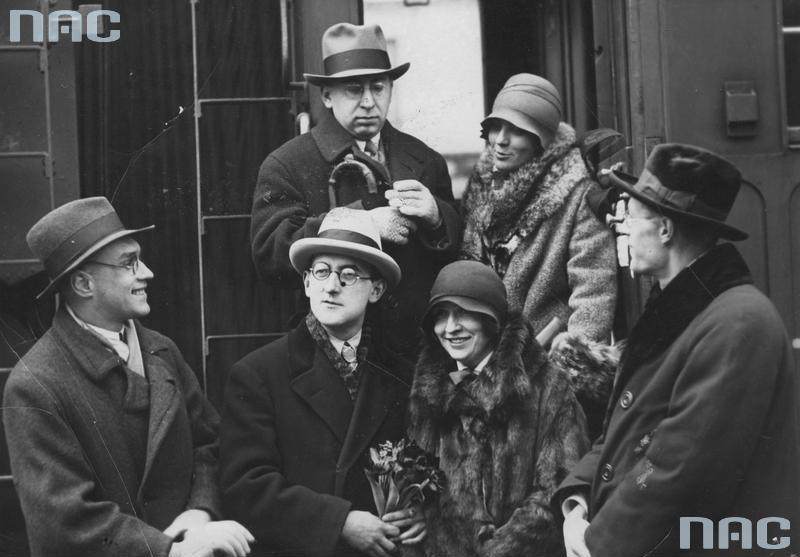 The actor, director, and playwright of Jewish origin, famous mostly for his roles in Yiddish theatre and film, arrived in Brazil with his second wife Rosa in 1941. Unlike Ziembiński, they settled in Recife, a city in the north east of the country and the capital of the state of Pernambuco. Turkow was also a professor of drama and taught at the Centro Dramático de Amadores. During his three-year stay in Recife, Turkow directed, among others, Tevye the Milkman (which featured his wife, Rosa) and Comedy of the Heart in the Teatro de Amadores de Pernambuco (TAP). He was not only the director of this production, but also the set designer, lighting technician, and costume designer. In 1944, he and Rosa moved from Recife to Rio de Janeiro. In 1946 he there directed A Woman Without Sin, followed by Wedding Dress by Nelson Rodrigues, which was a great success. A year later he staged a performance based on Jorge Amado’s The Violent Land, which starred Zbigniew Ziembiński. In 1952, the Turkows immigrated to Israel. An excellent actor, he played one of the most important roles in the play. 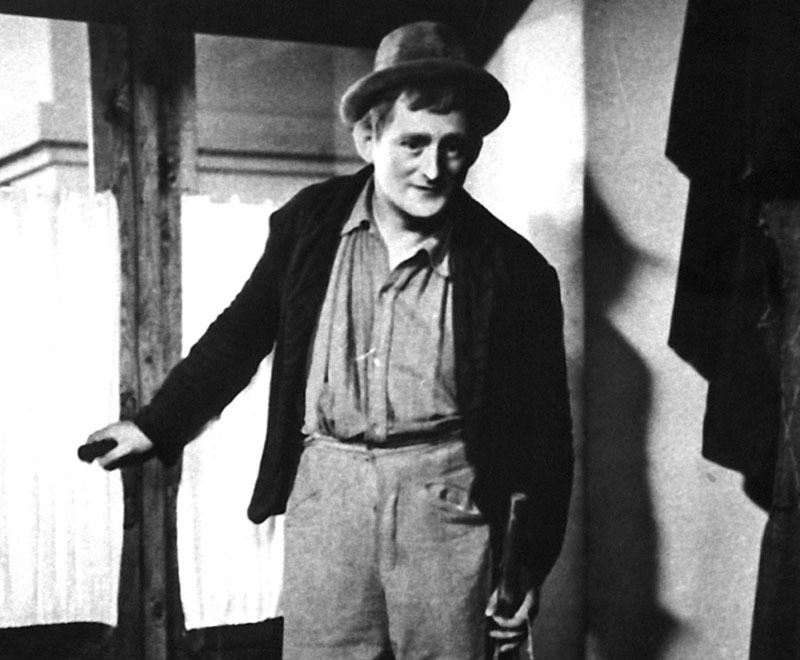 I saw Woyzek, in which alongside Ziembiński played Samborski, the polish actor. He had a strong accent. He played the General and spoke very slowly. Interestingly, the performance had a realistic character, to which we were unaccustomed, because Stanislavsky was still unknown in Brazil. 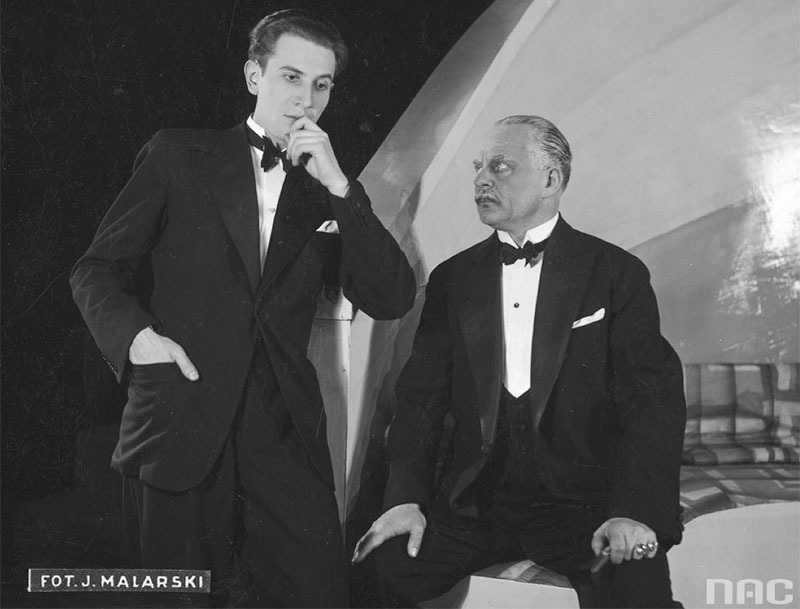 For us, the youth of the 40s and 50s, Ziembiński and Samborski seemed to be figures from another planet. They built their characters with remarkable accuracy in accordance with the school of Stanislavsky. Ziembiński also exhibited a style of expressionism. Expressionism was another thing with which we were unfamiliar. I have seen a couple of films featuring Samborski. He was a really fantastic actor, very evocative. He was an actor of the same ilk as Peter Lorre, maybe better. Sambroski moved from Brazil to Argentina, where he died around 1971. Yanka Rudzka, archival photo, courtesy of the artist’s assistant. She was one of the most important figures of the emerging scene of modern dance. 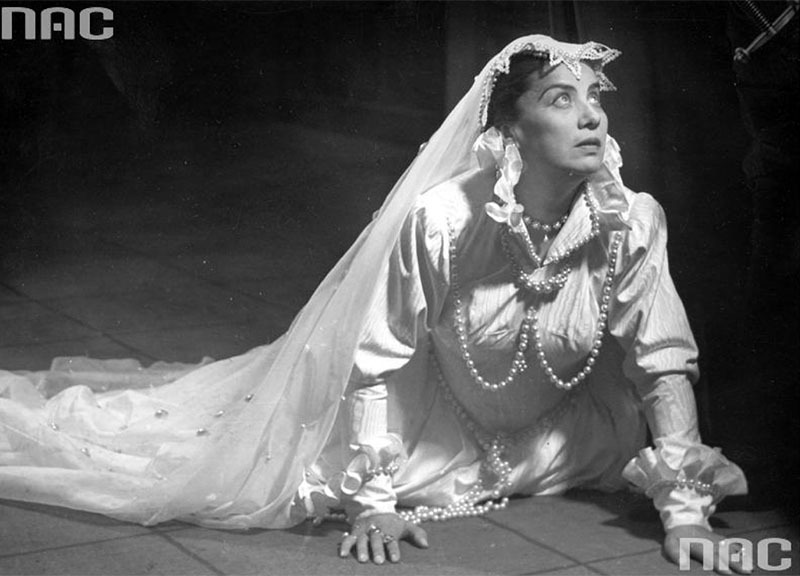 In 1956, when she arrived in Salvador and became involved in the first Brazilian university dance school, she brought with her a pioneering vision of an aesthetic, innovative language of movement on stage, born of cooperation with the most important reformers of dance, particularly in expressionist dance. Her stage experience was in Poland, Germany, and Brazil. This unusual triangle created an extraordinary artist and her extraordinary story, who is worth remembering. Rudzka was also a pioneering force in bringing Afro-Brazilian traditional culture to the Brazilian stage. Her choreography seriously explored the symbolic movements of Afro-Brazilian candomblé possession cults and incorporated the berimbau, an instrument used in capoeira. Poles also played an important role in Brazilian theatre criticism. Yan Michalski (1932-1990) was born in Częstochowa and moved to Brazil at the age of 12 and adopted Brazilian citizenship in 1956. He was a student of Zbigniew Ziembiński and authored his biography Ziembiński and Brazilian Theatre (Ziembinski e o teatro brasileiro). His work secured him a reputation as one of the most esteemed theatre critics in Brazil, as well as a respected essayist, teacher, and author of books on the theatre. A number of visual artists also gained fame in Brazil, among them, the painter Bruno Lechowski (Warsaw 1887 – Rio de Janeiro 1941) and sculptor Jan Żak (Brzeżany 1884 – Rio de Janeiro 1961), who worked under the pseudonym João Zaco Paraná. Lechowski was a graduate of the Academy of Fine Arts in Kiev and St. Petersburg, and worked as a lecturer at the School of Fine Arts in Warsaw. Beginning in1926, he lived in Brazil, where he was one of the founders of a group of modernist painters known as Núcleo Bernardelli. He was the mentor of many famous Brazilian painters, including José Pancetti, Milton Dacosta, Yoshiya Takaola, and Yujig Tamaka. Lechowski’s most famous works include a series depicting urban landscapes, many from Rio de Janeiro (Praia do Flamengo, 1928, Paisagem, 1932, Paisagem to Rio, 1932, Rio de Janeiro, Capital da Beleza, 1939). Much of his work is in the collections of the Museu Nacional de Belas Artes, the Museu Oscar Niemeyer in Curitiba, and the Museu de Arte do Rio. João Zaco Paraná immigrated to Brazil with his parents at the age of three. Like most Polish immigrants, his family settled in the state of Paraná in the south of the country. At fourteen, João Zaco received a scholarship that allowed him to attend the School of Art and Industry in Curitiba. Financial support from friends and mentors allowed him to continue his studies at the Academy of Fines Arts in Rio de Janeiro. He also studied in Brussels and Paris where, during his ten-year stay, he became acquainted with the work of such major European artists as Modigliani, Picasso, and Chagall. He returned to Rio de Janeiro in the early 1920s and beginning in 1940, worked as a professor at the Escola Nacional de Belas Artes in Rio de Janeiro. His most famous works include the sculpture The Sower (O Semeador), located on Eufrasio Correia Square in Curitiba and Motherly Love (Amor Materno) in the Botanical Garden of the same city. 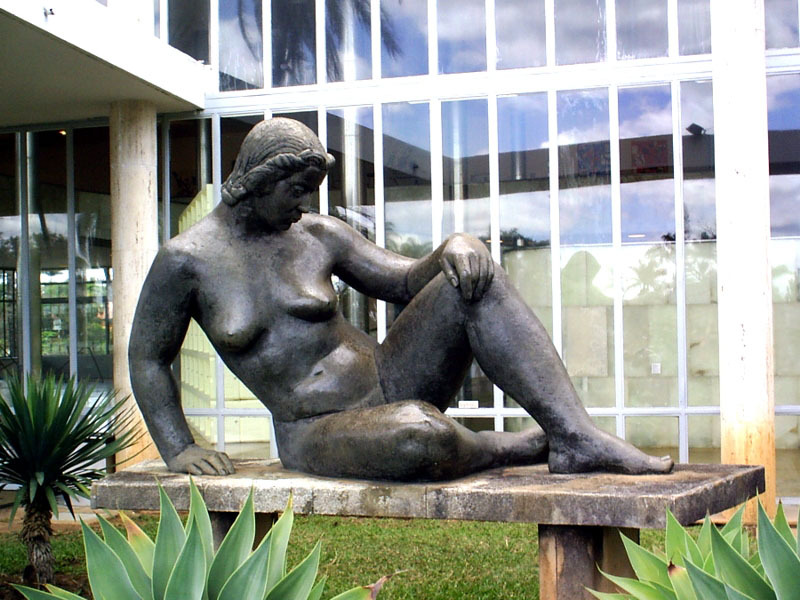 August Zamoyski, Nu, 1943, Museum of Modern Art, Pampulha, Belo Horizonte, Brazil, photo. Eduardo Coutinho. Polish sculptor August Zamoyski (1893-1970) spent a short period in Brazil (1940-1955), during which time he was a professor at the School of Fine Arts in Rio de Janeiro and taught courses at the Art Museum of São Paulo Assis Chateaubriand (MASP). Among the works he left in Brazil, the most famous are the Chopin monument at Praia Vermelha in Rio de Janeiro (a gift of the Polish community in Brazil to Rio de Janeiro, the unveiling of which took place on the fifth anniversary of the start of the Second World War) and Nu, a monumental bronze sculpture of a naked woman in the Art Museum of Pampulha in Belo Horizonte. Born in Łódź, artist Fayga Perla Ostrower (1920-2001) became famous in Brazil primarily for his 1940s series of illustrations and book covers for well-known Brazilian writers. Ostrower’s style is often compared to German expressionism. He adopted Brazilian citizenship in 1951, and his work began to gain visibility in museums in Brazil and abroad. Inspired by cubism and abstract art (mainly the work of Paul Cezanne), he began to move away from figurative art and social engagement. He received many awards for his work, including the Grande Prêmio Nacional de Gravura at the São Paulo Biennial (1957), the International Award at the XXIX Venice Biennale (1958), and prizes at Biennale in Florence, Buenos Aires, and Mexico. The situation of our planet is serious. Nature is vengeful, and we have very much hurt it. We cannot remain passive. Born in Curitiba in 1943 to Polish immigrants, João Urban showed an interest in social issues in his very earliest works of photography. A participant in many exhibitions in Brazil and abroad, Urban focuses his lens on everyday life and the work of landless peasants and Polish immigrants in the state of Paraná in southern Brazil. He has published a number of collections of his photography, including Landless Labourers: A Partial View (Curitiba, 1988), Tropeiros (São Paulo, 1992), Here and There – Memories of Polish Immigrants (Curitiba, 2004), and The Rivers I Walk Through – Mother Nature (Curitiba, 2007). 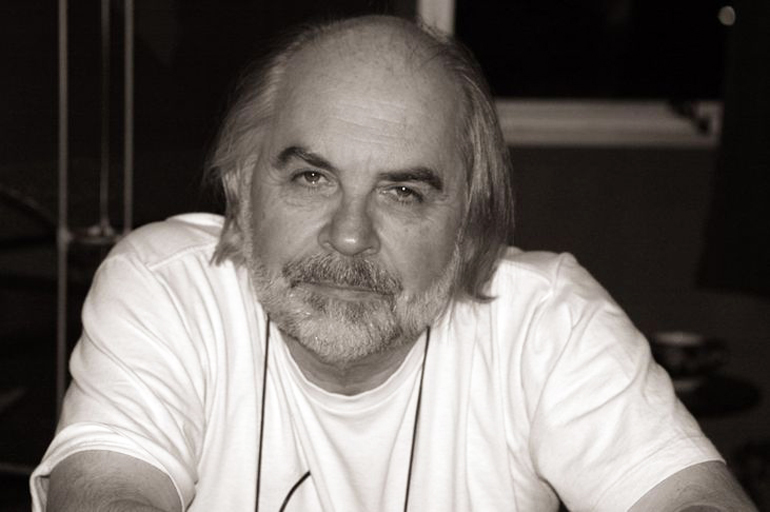 Andrzej Bukowiński, one of the most award-winning directors of commercials and shorts, was born 15 March 1940 in Warsaw. When he was six, his family emigrated from Poland to England. Three years later the family moved to Argentina (Rosario). Bukowiński began his career in the early 1960s directing advertising films. 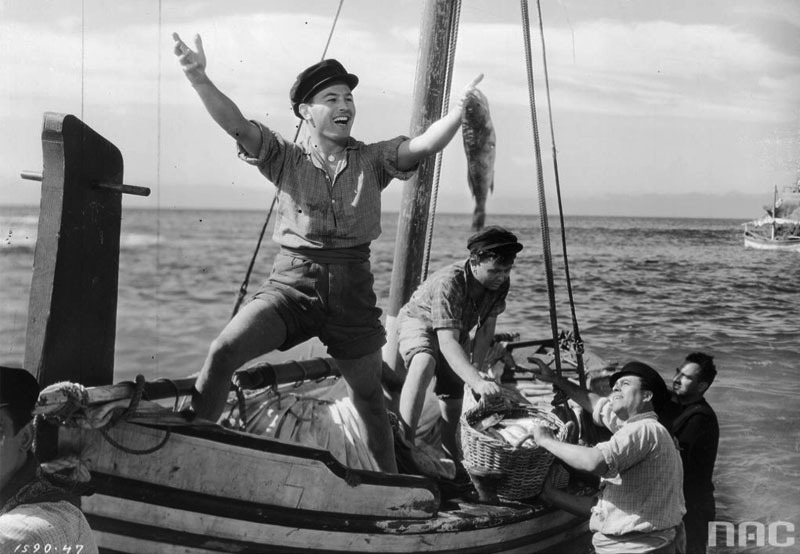 Now, having made more than three thousand films, he is considered one of the pioneers in the industry. In 1973, he moved to Brazil, where he founded the production company ABAFILMES. He continues to live and work in São Paulo. Bukowiński is the recipient of many prestigious international awards. At 24, he received first prize at the International Advertising Film Festival in Venice (now the festival takes place in Cannes). He is the only director in the world to have won three consecutive Gold Lions at the SAWA International Advertising Film Festival in Cannes. In his career he won a total of twenty-five Lions at festivals in Cannes and Venice (1964-1997). He has been awarded ‘Professional of the Year’ seven times by the Brazilian company TV Globo. His film Hitler (an advertisement for Brazilian newspaper Folha de São Paulo) has been listed as ‘One of 40 World’s Best Commercials of the Century’. The advertising films directed by Andrzej Bukowiński are small masterpieces of cinematic art, cinematic metaphors of the highest level. He has made so much of them; he must be admired for his creativity and consequential art. Calling Andrzej’s films advertisements is in some ways arbitrary. They are both advertisements and artistic expressions of the existential philosophy of their creator. Polish born Stanisław Rzepecki (1913-1993) is also greatly admired in the Brazilian film community. Born in Poznań during WWII, Rzepecki was imprisoned in a Nazi concentration camp until 1943, when he managed to escape and flee to English. A year later he enrolled in a film course at Denham Film Studios in London, where he became interested in stage makeup. He worked with stars such as Lilli Palmer, James Mason, and Vivien Leigh. Shortly after the war, he met Paschoal Carlos Magno, the Brazilian ambassador to England, as well as a noted theatre director and critic. Thanks to Magno, Rzepecki traveled to Brazil, where he adopted the pseudonym Eric Rzepecki. There he worked as a makeup artist for some of Brazil’s biggest film studios (Cinélandia, Atlântida, Vera Cruz) and television channels (TV Rio, TV Excelsior, TV Tupi, and Flobo). Beginning in 1978, he led the makeup department for TV Globo. He has worked with many of the stars of Brazilian cinema and television including Sônia Braga, Regina Duarte, and Fernanda Montenegro. In the early 1980s, he designed his own line of cosmetic products. The most famous writers of Polish origin in Brazil are Paulo Leminski, Samuel Rawet and Alfredo Syrkis. 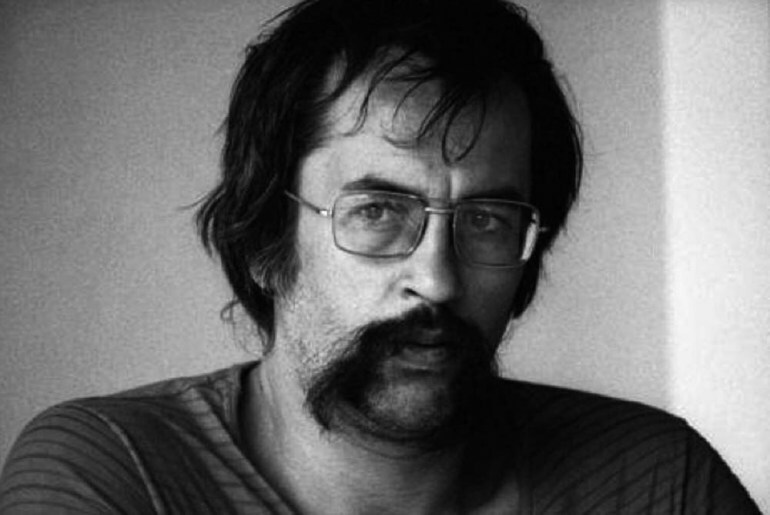 Paulo Leminski (1944-1989), whose grandfather came from Poland, was a writer of experimental prose (Catatau, Agora é que são elas), a poet, biographer, translator (translated Alfred Jarry, James Joyce, Samuel Beckett, Vladimir Mayakovsky, and Adam Mickiewicz into Portuguese), composer, and lyricist for many well-known singers and musicians. In his work, Leminski repeatedly invokes Polish motifs. One of the heroes of Catatau – his most famous and genre defying experimental work – is a seventeenth-century Polish general in the service of the Dutch, Krzysztof Arciszewski. One also finds references to his ancestral homeland in Leminski’s poetry. He also engaged the Polish tradition in his translation of Mickiewicz from Polish into Portuguese. 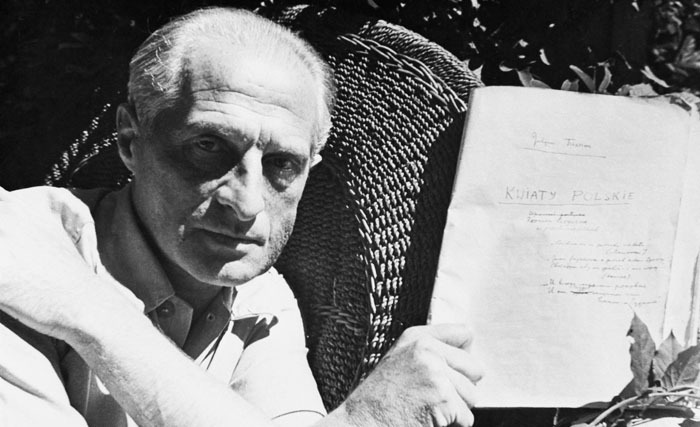 Other authors of Polish heritage in Brazil include Samuel Rawet (Klimontów 1929 – Brasilia 1984), author of the short story collections Contos do Imigrante (1956), Dialogo (1963), Os sete sonhos (1968), Eu, here e ele (1972), and Que os Mortos Enterra seus Mortos (1981); politician and journalist Alfredo Syrkis (b. 1950), author of Os carbonários (for which he was awarded the Jabuti in 1981), Roller chilena (1981) and Corredor INGLÊS (1983); Letícia Wierzchowski (b. 1972, Porto Alegre) author of popular books that explore the issue of Polish immigration to Brazil such as Cristal INGLÊS (2003) and Uma Ponte para Terebin (2005), and A casa das sete mulheres (published in 2002, the novel served as the basis of a Brazilian soap opera on TV Globo). Torn by the scorching heat! Tuwim was joined in Rio de Janeiro during the Second World War by Kazimierz Wierzyński, Jan Lechoń, Michał Choromański, and Jan Kiepura. Expands and collapses the delicious ocean. In the air hangs a multicolored cloud of butterflies. And all things endured, you forget in this moment. A small group of translators has made Polish literature accessible to Brazilian readers. The work of most of these translators is connected with Brazilian academic institutions (mainly in Curitiba and Brasilia). The prestige of the publisher, today the most significant in Brazil, probably contributed to the fact that the book was met with a very lively reception. Extensive reviews in magazines and literary supplement in the major daily newspapers, as well as a lot of interview requests are evidence of such acceptance. For me there is no greater reward than the reactions and testimonies of readers who share their fascination with Schulz’s prose. Marcelo Paiva de Souza is a lecturer of Polish Studies at the Federal University of Paraná (Universidade Federal do Paraná) in Curitiba and author of Theatre of Anxiety: A Comparative Study of Stanisław Ignacy Witkiewicz and Oswald de Andrade (Teatr niepokoju. Studium porównawcze dramaturgiiStanisława Ignacego Witkiewicza i Oswalda de Andrade, published in Poland). He also has translated a number of works from Polish to Portuguese including those of Ida Fink (The Journey), Witold Gombrowicz (Yvonne, Princess of Burgundy), Dorota Maslowska (Snow White, Russian Red), and Czesław Miłosz (The Witness of Poetry). Tomasz Barciński was one of the most prolific translators of Polish literature. He was born in Warsaw in 1936 and immigrated to Brazil with his parents when he was eleven. In Brazil he studied at the National School of Engineering and worked as an engineer in the tobacco and brewing industry until his retirement, when he devoted himself to a new passion – translation. His many translations include the works of Ryszard Kapuściński, Henrky Sienkiewicz, Witold Gombrowicz, Mirosław Bujko, Rutka Laskier, Andrzej Sapkowski, Paweł Huelle, Tadeusz Dołęga-Mostowicz, Olga Tokarczuk, and Władysław Szpilman. The first time I came across the poetry of Szymborska was when she was awarded the Nobel Prize in 1996. At the time I was in an intensive Polish language course for foreigners in Kraków. It was the first time in forty years that I was reacquainted with Polish – the language of my childhood, which I had stopped speaking at the age of six (like so many first generation children of immigrants, I did not want to stand out from my Brazilian peers. I wanted to be one hundred percent Brazilian.). Everyday language, language of concrete things was close to me, but it was hard to learn the language of the intellect, abstract language, which seemed to be cold, without a soul. Lecturers in my course introduced Szymborska’s poetry, in which I found familiar sounds […] In Portuguese we speak of native language as ‘língua materna’ – language of the motherland, mother tongue, what better than the mother tongue to express what we feel and dream. Polish is my ludic language of childhood, its sounds surrounded me in the cradle, charmed me with tales about Baba Yaga. Szymborska reminded me of those ludic sounds of childhood, which in her poetry are blended with intricate word play. Translating her was an exercise in bringing to Portuguese this intellectual meditation in a colloquial tone. An important role in promoting Polish culture and literature is performed at the Chair of Polish Studies at the Federal University of Paraná, UFPR. Some of its first graduates have already made their debuts in the profession as translators and teachers of the Polish language. Given the uniqueness of Polish studies (in Brazil and, as far as I know, in Latin America, there is no other institution that offers a bachelor of Polish language and literature), I think that we will fulfill a strategic role in the dissemination of Polish philology in the academic world (not only in the field of philology, but also in the humanities) and Brazilian culture in general.